The LT670H Series Pro:Centric enabled HDTV leads the way in advancing the guest experience and streamlining how hoteliers deliver in-room entertainment. Provide in-room service applications such as an Electronic Program Guide (EPG) as well as guestroom access to hotel amenities all to provide an exceptional stay with Guest-Centric entertainment and hotel options. 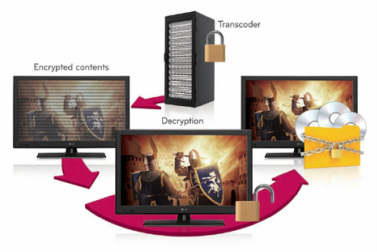 of interactive content and functionality by supporting many HD VOD/HD FTG and other FTG systems. 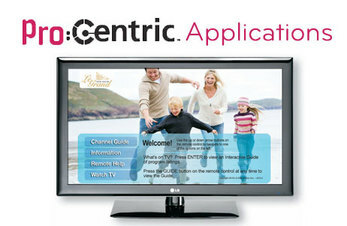 Pro:Centric interactivity extends programming boundaries for hotels, including the ability to run highly customized Java and Flash applications, or services such as an Electronic Program Guide. Hoteliers can also benefit with eco-sustainable features such as EcoSmart Dynamic and Static Power Savings that work to consume less power and reduce energy costs per room. LG puts everything into consideration when providing in-room entertainment solutions for properties and their guests.